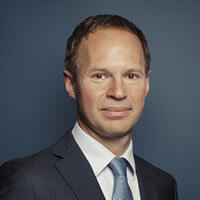 Dr. Thomas Hainschwang is Director and co-founder of GGTL Laboratories (GGTL Laboratories Liechtenstein, formerly Gemlab Liechtenstein, founded in 1996). Dr. Hainschwang has been working on the analysis of diamonds, coloured stones and pearls for the past 22 years, and is a respected expert in the field of gemmological research, with extensive experience in the complex topic of coloured diamond. Besides his expertise as a multidisciplinary gemmologist with specialization in diamond research and testing, Dr. Hainschwang has developed and built many analytical instruments for gem and pearl testing in the past years. He has published over 150 articles on various gemrelated topics and has presented these topics in over 90 conferences around the world. He received the prestigious Antonio C. Bonanno Award for Excellence in Gemology in 2015 and the Gemmological Excellence Award of the Swiss Gemmological Society in 2017, both Awards that recognize those who have made significant contributions to the gemological field. Dr. Hainschwang holds a PhD in Physics (materials science) from the University of Nantes, France, that he obtained in May 2014 with his dissertation, Type Ib diamonds: Correlations between the physical and gemmological properties of diamonds containing isolated nitrogen.